The days of searching for the perfect power solution are gone. Simple, unique and innovative, MPS pop up power points are changing the way we access power as we know it. 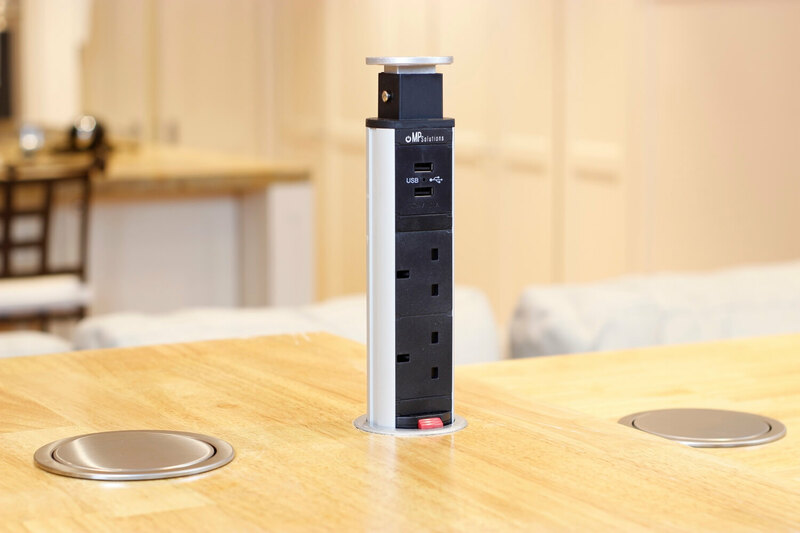 Power devices simultaneously and conveniently with UK standard power points and USB charging ports capable of charging any USB charging devices. Featuring a unique and functional design, available in an array of colour options, the V8 range is sure to set your space apart. Looking for pop up sockets with USB? It’s the finer details that set the best homes and offices apart, there are many decisions to make when building or renovating your home or office – Colours, designs and styles. It’s very time consuming. Many people won’t even give a second thought to their electrical fittings. They assume there is nothing aside from the standard white plastic wall outlet. Nothing could be further from the truth. The days of searching for the perfect power solution are gone. Simple, unique and innovative, MPS pop up power points are changing the way we access power as we know it. 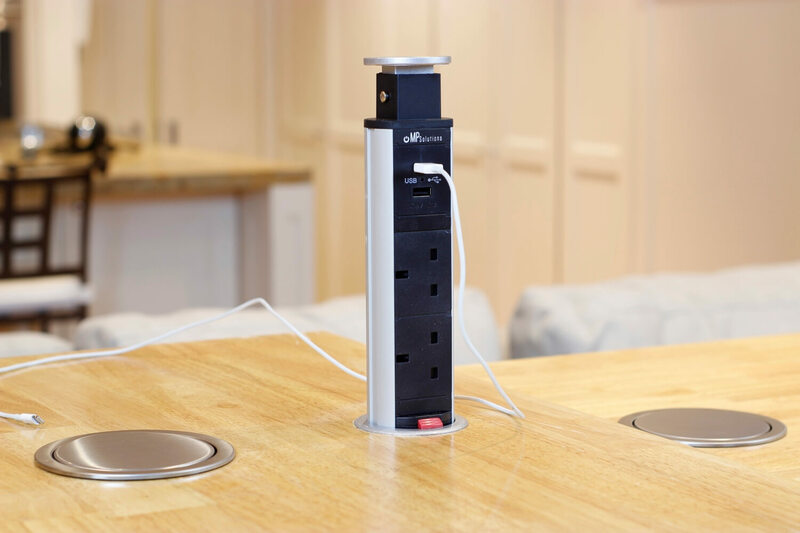 Power devices simultaneously and conveniently with UK standard power outles and USB charging ports capable of charging any USB charging devices. Featuring a unique and functional design, available in an array of colour options, the V8 range is sure to set your space apart. The MPS “V8” Pop Up Power Socket with USB is simple to install. A hole with a diameter of 82mm is required in the desired installation surface. The unit can then be fitted to the hole, and plugged into a standard power point underneath the bench top surface. The unit is then ready for immediate use – No professional help required! £169.95 VAT Inclusive Buy Now! £89.95 VAT Inclusive Buy Now!